Metro Post Connectors allow you to stack metro units on top of each other. 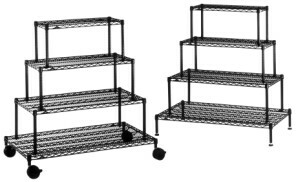 Metro wire shelf accessories compliment your shelving and carts. From casters, shelf ledges, shelf dividers to plastic split sleeves, hanger rails and handles. Metro has the accessory to fit your need.